Protect the people you serve and yourself with the Zetronix Blueline Body Camera. The Zetronix Blueline Camera is the easiest and most durable body camera sold. Press record and know that the truth is being securely captured so that your integrity is never questioned. The simple controls allow anyone to gather video, photographs, and audio recordings which can be played back on the camera or on a Windows PC. Data is stored with built-in 32GB solid-state memory encased in a robust ballistic housing that can withstand even the most brutal abuse, combined up with a 9hr long battery life and a 120hr standby life makes this police camera perfect for even the longest shift. The Blueline Police Camera is equipped with a low-light HD video sensor that records 2.7k HD color video and snaps photos at a detailed 18 Megapixels. The 2” LCD Screen lets you view what you are recording real-time and plays back video and photos instantly. Infrared night vision picks up details in complete darkness and the rugged steel clip attaches to any pocket, belt, lapel, collar, placket, and most protective armor. The included Lapel-Adapter attaches securely to any standard uniform lapel at the shoulder and aims the camera forward at adjustable angles to target faces and allow easy access to controls. The Zetronix Blue Line Body Cam comes equipped with a 2304 x 1269 resolution 2.7K sensor. 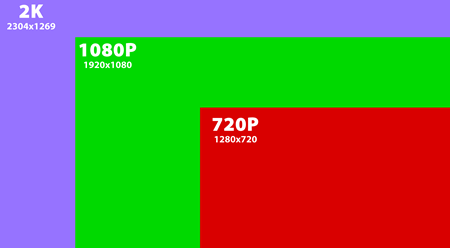 That means the bodycam records video at over 30 percent more pixels than the more-standard 1080p. As a result, this bodycam can capture a crystal-clear image of a license plate, faces, features and more from a significantly farther distance than 1080p. The Zetronix Blueline Police Camera was made and designed for hazardous law enforcement use. The rigid ballistic shell is weather resistant and can handle the most extreme conditions. The Blueline Police Camera is equipped with 6 high output infrared LEDs that illuminate up to 45ft to clearly show an accurate picture in pitch darkness or to bring out hidden information in mixed light scenarios.Night Vision turns on automatically as needed, no need to worry about recording in complete darkness. Unlike many Body Camera which records a partial view at 70-90 degrees,the Zetronix Blue Line Police Cam records at a wide 130-degree angle to pick up peripheral images and avoid important evidence that would otherwise be off camera. An ultra long-life 3200mAh battery that will run up to 9 hours non-stop. This Lithium-Ion power source has 120 hour standby time and will last 10,000 recharge cycles ensuring years of repetitive use. The first time you use your Blue Line Body Cam, simply adjusts the date and time to your current location. Once that’s done, all your videos and photos will have a date and time stamp superimposed in the bottom right corner. The Blue Line BodyCam comes equipped with an HDMI output as well as a RCA AV Out, which enables you to plug your dash cam into your TV, or watch your videos on any other device with an HDMI or an AV output.